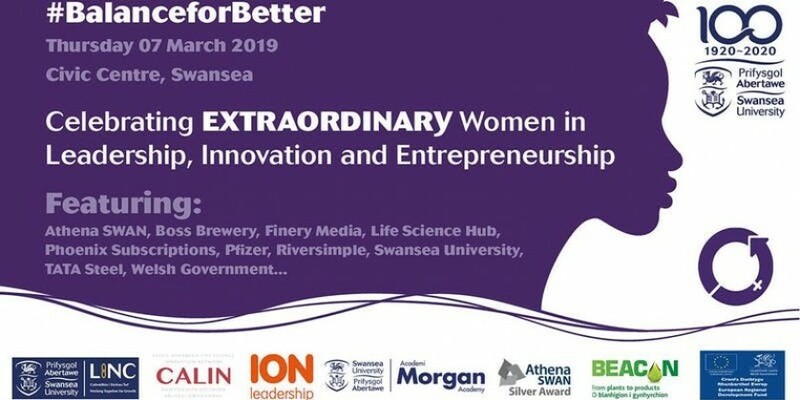 On 7th March 2019, the METaL team attended an event organinsed by Swansea University LINC which celebrated ‘Extraordinary Women in Leadership, Innovation and Entrepreneurship’, as part of the International Womens Day celebrations. Held at Swansea’s Civic Centre, with the fantasitc backdrop of Swansea Bay, the event consisted of a series of interesting talks given by women from a huge variety of backgrounds. The speakers discussed their career journeys, their views on leadership and their ideas on how we can continue to move forward to encourage a working environment that is inclusive for everyone. This was reflected in the hashtag that attendees were encouraged to use on social media, #BalanceforBetter. The speakers were from a diverse range of career backgrounds including Julie James AM, Laura Baker, Head of Product Management and New Product Development, TATA Steel, Professor Hilary Lappin-Scott OBE, Senior Pro-Vice Chancellor Swansea Univeristy, Professor Gwyneth Davies, Swansea University Medical School, Sarah John founder of Boss Brewery, Fiona Spowers Director Riversimple, and many more. Each and every one of the speakers were passionate about their achievements in their chosen field of expertise, and wanted to encourage more open dialogue of how to achieve future success with an inclusive and diverse working environment.